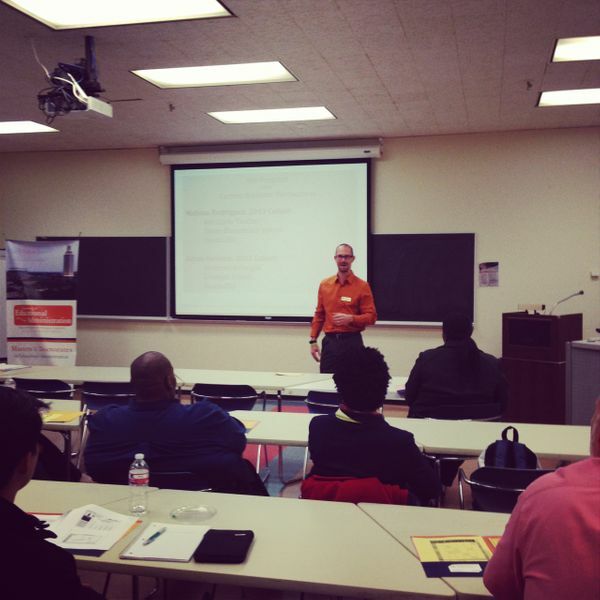 I got invited to speak at our University of Texas Principalship Program information session for new prospective members. Turns out we had a few Crockett graduates in the audience! I was asked to talk about how the UTAPP has changed my thinking and impacted my life. I enjoyed speaking to the whole group as well as answering questions at the end of the session alongside a new UTAPP cohort member in her first year in the program. Since I shared my love of working at Crockett I decided to include this event in the blog.